I used to watch “Deal or No Deal” quite a bit. I remember getting very angry with people who waited too long to take the deal offered by the banker. You’re getting a good deal. Sure, you could win more, but you could also end up taking home less. Interest rates are the same way. They fluctuate on a daily basis for a variety of reasons. They can go down, but they can also go up. Even the change of a few basis points (hundredths of a percentage point) can make quite a difference when you’re talking about a loan transaction in the hundreds of thousands of dollars. It’s important that when you get that deal you’re comfortable with, you grab on and don’t let go. Rate locks are the tool that allows you to lead the bull to the corral and pen it in. Here’s how they work. Rate locks are just what they sound like: You’re locking in your interest rate. The rate lock agreement lasts for a certain amount of time (typically 40 days). You have until the end of the rate lock period to close on your home. A rate lock provides protection from rate spikes. It allows you to have the time to get everything finalized with your appraisal, inspection and documentation. There are some situations in which borrowers have a problem closing the loan by the end of the rate lock. The first thing to be aware of is that appraisers often get busy. Most home loans require an appraisal, regardless of whether it’s a purchase or refinance. In the current low rate environment, people are in a better situation to do both of those things, therefore increasing the number of appraisal appointments. The other pitfall is the fact that certain processes take longer in different states, as some states have different regulations. The good news is you can often get an extension to your lock by talking to your lender. Some lenders charge a fee for this, but some don’t. Ask your lender what their policy is when you apply, so you have the right expectations upfront. You can also save yourself some of the headache by getting documents in promptly. The sooner your lender receives the necessary information from you, the sooner they can put your loan file together and wrap it up in a tidy little package to be underwritten efficiently. These are just the basics and more information is likely necessary, but your lender can walk you through additional requirements specific to your loan. The important thing is to get everything done in a timely manner so your rate lock doesn’t expire. As we discussed above, locking in protects you from market volatility. The Federal Reserve has indicated its intention to raise short-term interest rates at some point before the end of the year. When it does, mortgage interest rates are likely to go up. As it stands now, we’re in a very consumer-friendly environment to borrow money. Rates are near historic lows, which makes it that much more imperative to lock in that super low rate. At Quicken Loans, we know you’re busy, so our revolutionary Rocket Mortgage means you can obtain a home loan completely online while you handle all the other aspects of your life! 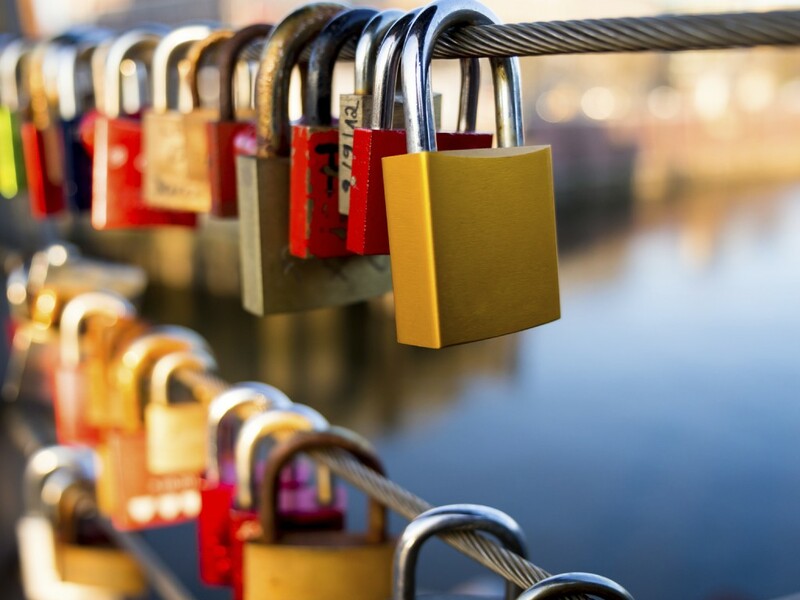 That’s the lowdown on rate locks and why they’re important. If you have any questions, leave us a note in the comments. What happens if the interest rate goes down before you close. Does the lock prevent you from using that lower rate? That’s a good question. Ordinarily, yes. If rates go down, you’re prevented from using the lower rate after you lock. However, we have a new offering. Quicken Loans just introduced an option to we call RateShield™ Approval. If you’re buying a home, this gives you the option of locking your rate for up to 90 days while you shop. Once you get us an executed purchase agreement, we compare the original rate you locked with current market rates. If rates are higher, you keep your original rate. If they’re lower, we give you the new one. There’s more information in this post on our approval process. If you would like to get started, you can do so online through Rocket Mortgage or give one of our Home Loan Experts a call at (888) 980-6716. Hope this helps! My loan is in escrow and the 30 rate lock has expired. I was told the process would take 30 days if I filed online. I submitted all documents in the first week and appraisal happened within 10 days. Do I need to sign an extension rate lock and who pays for it? I received the rate lock extension 3,days after it expired. It depends on the policies of the lender. Sometimes lenders do the first extension free so you have that cushion in case there are any delays. After that, the cost of the extensions is usually passed on to the client because lenders are paying for insurance to keep your rate locked where it is. They can’t do that indefinitely. I would talk to your lender about their policies. I hope this helps! Quicken Home Loans ads should include the disclaimer right up front that Quicken does NOT consider loans on manufactured homes. I wouldn’t have wasted my time if I had known that before starting the refinance process on line. We never want to hear you feel you’ve wasted your time. While we don’t offer financing on manufactured homes at this time, your feedback is much appreciated and I will pass it along. My daughter has renters in her home at the present time. They are interested in buying the home, but don’t feel their credit is good enough. They do not have internet access, so do you have a phone # that I could give them to see if they’d qualify for a loan to buy her house? They can call 800-251-9080. I hope this helps. I have one question before I give any information other than what I’ve given. My question is, do you take investment property when the rate is so high? My rate is 8.25 with Ocwen Mortgage Company. I would love to get a lower rate if possible. Will you reply to my question by e mail? The current rate you have for your investment property wouldn’t affect whether or not we can help you refinance it. It shouldn’t have anything to do with your ability to qualify. I’m going to have one of our Home Loan Experts reach out to you via email. You should hear from them in the next day or two.